1. Trail Wallet – I know I tend to lose track of how much money I spend while on vacation and I’m sure you all do as well. That’s why I like this new app designed by and for people who love to travel. The goal is simple, to accurately track how much money you’re spending as you travel. To begin you simply specific your home currency and then the currency of the destination in which you’re traveling. If you’re traveling domestically just set both currencies to your home currency. Then set up your daily budget and you’re ready to go. Every time you have a new expense you add it through the app which also allows you to indicate what the expense was for: food, accommodations, transportation, etc. On the summary page it shows how well, or poorly, you’re doing and even provides charts giving a more graphic representation of your spending. My only problem with the app is that it shows ‘Monthly Budget’ and ‘Total for Month’ which for those of us who only travel a week or two at a time isn’t very helpful and actually is a little frightening depending on our daily budgets. 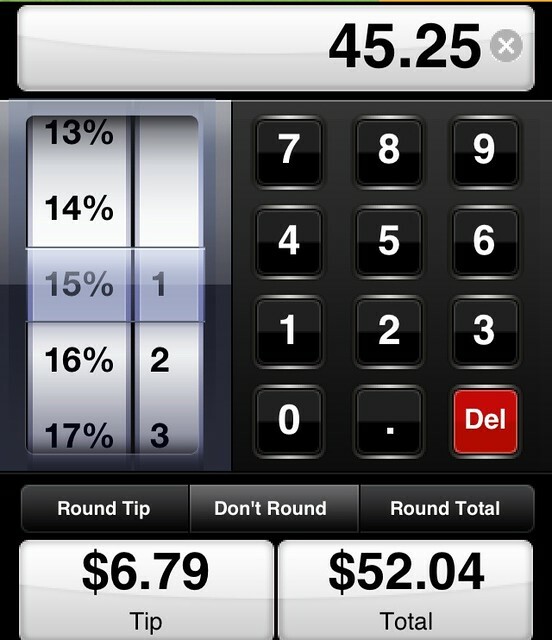 But overall it’s a good, easy to use app that will help you get some control over your travel budget. 2. CheckPlease – This is a handy app for figuring out tax and tip anywhere in the world. Just enter the total amount, select the percentage and you’re done. You can choose between an exact amount or a rounded total and it even allows you to figure out the split between multiple people along with tax and tip. It’s simple and easy to use which makes it a perfect travel app. 3. 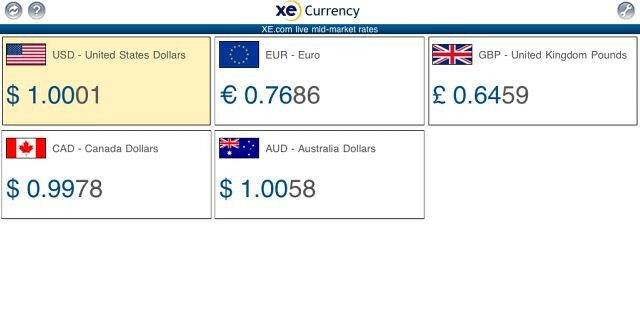 XE Currency – I always use the XE currency conversion site whenever I need to find the latest rates. I addition to their iPhone app, they also have a specialized iPad version. XE is very simple and straightforward. You simply select the currencies you want to convert, the amount and you’re done. It’s a must have app for anyone planning a trip overseas. 4. Expensify – This is another spending tracker app, but with a focus on the business traveler. Expensify makes it easy to keep track of all of those annoying receipts and quickly and easily compile them into a streamlined expense report. Just take a photo of the receipt, enter in the amount, location and type and the app records it. 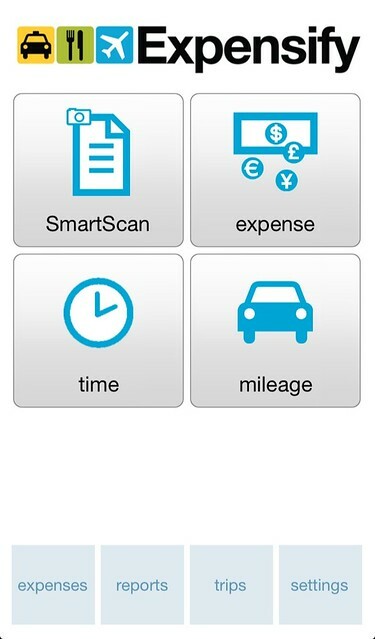 You can also enter expenses manually as well as your time and even mileage. You then log into the Expensify web site to run reports and keep track of all your trips. As a business traveler I think this is great and I hope it solves the problem of keeping all of those pesky receipts. 5. Wallet Dilemma – Ever used your credit or debit cards overseas and wonder how much you were really being charged? Unless you have a card that waives foreign transaction fees, you may be paying a lot more just by swiping that card. The Wallet Dilemma app solves that problem. Simply select the type of credit card you have from their extremely specific and thorough list (they drill down to specific reward cards) and you’re set to go. Once you’re abroad, enter in the amount and the app will tell you how much you’re really spending. On a recent trip I entered my Delta Gold Skymiles card and tested the app throughout the trip. I was surprised by how much more I was really spending and it absolutely changed the way I spend money overseas. For example, if I charge 100 Euro to my card, the actual cost to me is US $135.93. The currency was trading at a rate that would normally equate to US $132, which meant I paid almost $4 in fees just for that one transaction. 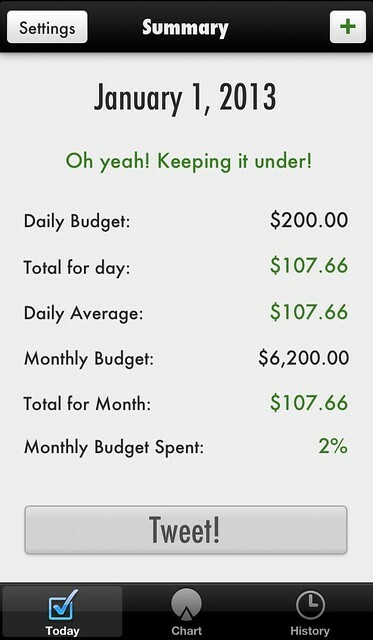 Even if the app doesn’t change your spending habits, it’s just nice to know how much you’re really spending. I keep meaning to download Travel Wallet. It’s been on my list of things to look at the last couple weeks. I’ll do it tonight. Great suggestions – I’m definitely looking into Travel Wallet! I think apps like Expensify are great in theory, but what they ignore is that the majority of business travelers have zero freedom in what they use for expense reporting. I’ve worked for several companies over the years in road warrior type jobs, and in every case, expense reporting software and policies regarding receipt submission were handed down from a corporate accounting department. I could see an app like Expensify (or the others that are like it) being great for a freenlancer or small business owner, but for all of us who work for larger companies, such apps look great in theory but are just more work when the reality of having to enter expenses into a system like SAP or Concur hits. Some of us even still have to mail in the actual receipts, even if we have already scanned and electronically submitted them. Great points Steven and thanks! I have had different experiences though. Granted I don’t work in the corporate world and instead for trade associations, but I have had freedom in how I report as long as I fill out the proper sheet. What this does for me is organize receipts and organize my expenses, which I can then submit into the company provided form. Thanks for including our Trail Wallet app Matt! And good point about the monthly expense total. It is a bit more set up for long term travellers at the moment and we are considering changing it in the future so that you can set specific trips to track the expenses for, which would work better for you and short term travellers. We are really keen to hear suggestions so we can make the app as useful for other travellers as possible. We are already updating it to support custom categories which is a popular feature request and will be out in a few weeks. Thanks for the heads up. We’re never organized enough to track anything, so we need some help with these apps. cheers and congrats on the Trail Wallet App too! 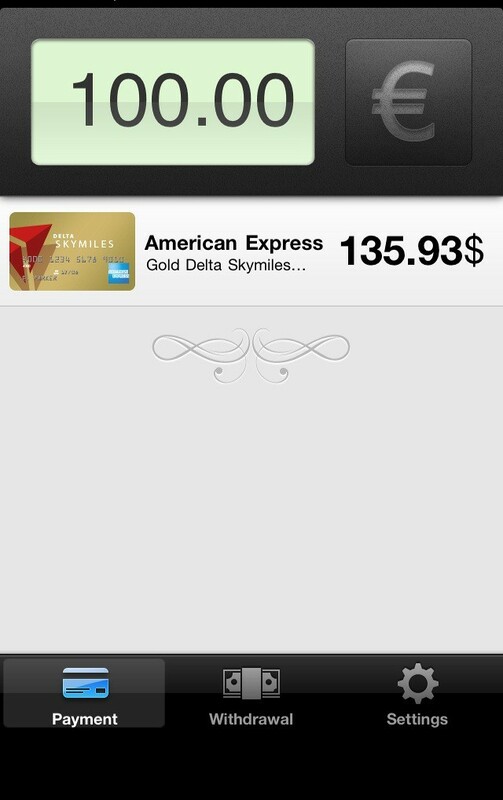 I love the Check Please app – I have never seen that and WANT! I’m looking for an expense tracker that will let travel companions keep track of who paid for what, and makes it possible for them to settle up after the trip. Ideally it would be available from both people’s iPhone/iPad, maybe let you take a picture of the receipts, and keep a running total of who owes whom what. I’ve got a few candidates to look at, but wondered if you had a favorite/knew of one or two.